Rolex bracelets are somewhat easy to fit and size, given that you have the correct tools. The intent behind bracelet fitting is to have the clasp centered on the underside of your wrist, not off to one side. Typically having the clasp centered required moving links from one side of the band to the other, or removing a link altogether. Removing a Rolex Oyster link looks simple enough. Each of the removable links is held with a pin that screws out with the use of a screwdriver. Rolex uses a 1.6-1.8mm screwdriver blade. A typical jeweler’s screwdriver might appear to fit, but in actuality a jeweler’s screwdriver is not beveled correctly and will probably result in a scratched or marred screw-head. 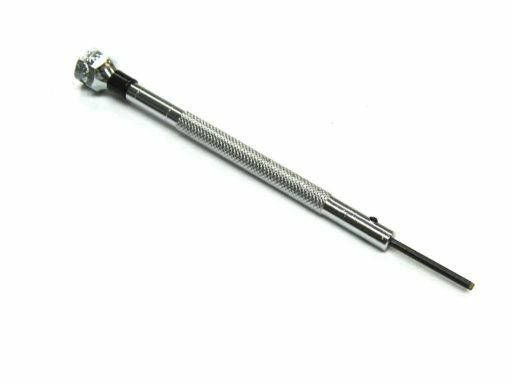 Jeweler’s screwdrivers have a chisel-like end that at torque can mar the screw-head or split the screw. On some of the smaller Jubilee links, a screw-head can split down the length of the pin causing the removable pin to bind inside the link. 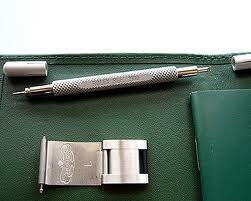 The best ready-made tool is the Rolex Sea Dweller screwdriver that was included in Rolex Sea Dweller watch boxes. Rolex stopped distributing these screwdrivers, but they can be found on eBay. These screwdrivers have a blade that fits the screw exactly and does not have a chisel-like end that mars screws. Like the Sea Dweller screwdriver, the particular eBay screwdriver does not have a chisel-like point, has a flat bevel at the bottom of the blade, and it won’t spread the screw apart. On many Rolex watches, there will be fewer links on the 6:00 oclock side the watch bracelet because the entire clasp should be centered, not just the clasp cover. The clasp hinge is longer than the cover which might make the clasp look not centered, but the reverse will result in the clasp hinge hanging over the edge of the wrist acting as a cantilever for a bracelet link. Try different combinations of bracelet links and setting inside the clasp cover to get a perfect fit. 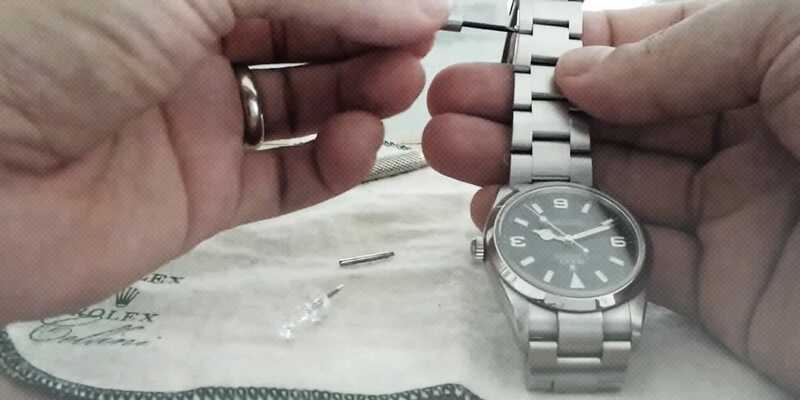 Anytime a Rolex bracelet screw is removed, it is good to LocTite the screw back in. 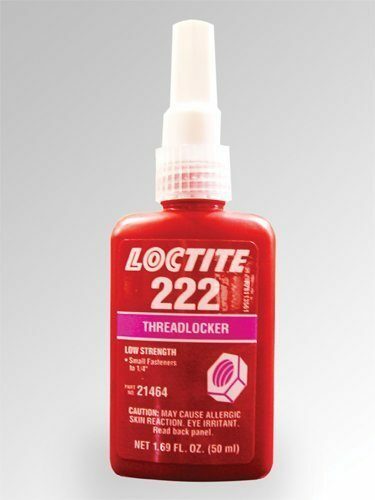 LocTite is available in various strengths and applications, but Rolex recommends LocTite 222 (red bottle, purple fluid) for Oyster bracelet screws. Keeping the screws LocTited with fluid 222 will prevent the screws from backing out, yet is soft enough to remove the screws at a later date. Utilizing a combination of LocTite, and the correct screwdriver will allow you to make bracelet adjustments without having to visit the watchmaker, or the local Rolex watch dealer.